New York City in November? The BEST. Efficient and well-organized? A logistical triumph. This might sound like a paid promotion, but we swear we have absolutely no connection or relationship with BDNY, Javits, or their sponsors. We just truly love this little show! Let’s start with the exhibitors. From the giants of the industry to the niche and unique, inspiration and discovery can be found in every jam-packed aisle of the exhibition floor. If you have any interest in—or connection to—hospitality design, this is your perfect playground. With around 800 brands packed into 135,000 square feet, it’s a speed-dating vibe that you can feel the minute you walk into the exhibitor hall. Over two short days (and we mean short - 10AM to 5PM) you can pack in an incredible amount of information, networking, and sourcing. With plenty of time to spare for evening activities! Which is a good thing because if you’re an architecture junkie (and of course you are), you’re going to want to spend some quality time ogling the fantastic new structures that have sprung up like avant-garde weeds along the entire lower half of Manhattan’s far west side, starting with the Hudson Yards right next door. 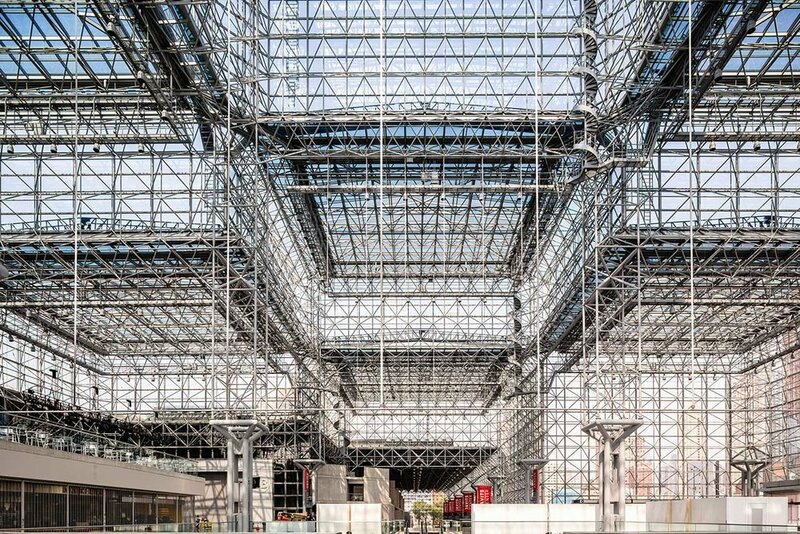 But first, can we talk about the Jacob K. Javits Center? Expansions and improvements over the years have brought it a long way since its original construction in the early 1980’s. (FXCollaborative, you rock!) The space is filled with an optimistic energy that’s hard to shake. Maybe it’s the abundance of sunlight pouring into the glass-enclosed public spaces, or the collective productivity buzz created by the hundreds of thousands of bees busily constructing their own boutique hospitality honeycomb structures on the live green roof that spans the convention area. Whatever it is, it has us completely captivated and excited to see what BDNY 2018 has to offer!